From your first call we will advise you on the procedures appropriate to where the death has occurred. We will explain how to register the death and what happens if the coroner is involved and answer any other questions you may have.Our office hours are Monday to Friday- 9am to 5pm but we are available to assist you 24 hours a day, every day, so please call if you need us outside of our office hours. We can visit you at your home to discuss arrangements if preferred. Some of the services we offer are listed below. However, it is not possible to cover all aspects so, if you can’t see what you require here, please ask as we will always endeavour to accommodate your wishes. In our modern society there are a variety of funeral service options. 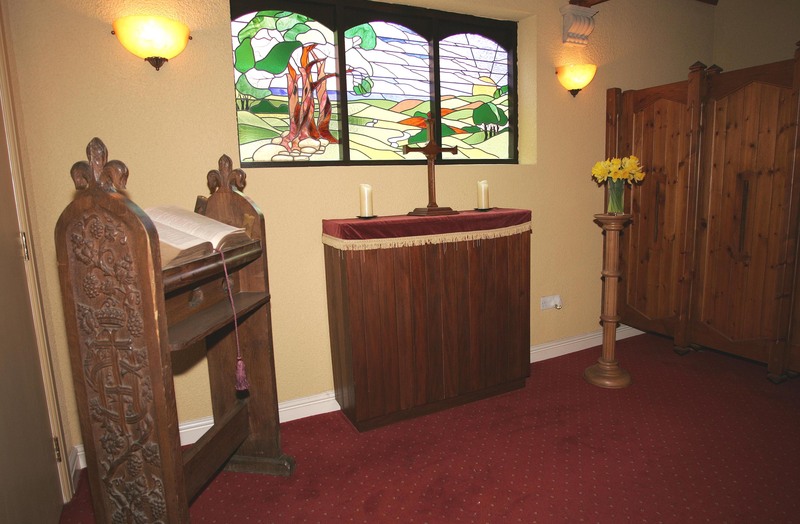 We can arrange a service to suit your needs whether you require a full traditional church service, a basic funeral service or maybe a service at the crematorium or graveside with your choice of either a minister of religion or a humanist / civil celebrant. If you prefer, you need not have anyone officiate the service and you may wish to use the time, at the crematorium for example, for family and friends to say a few words of their own and perhaps listen to some special pieces of music. It maybe that no ceremony is required and that no-one will be attending the cremation or burial, but please rest assured that we would still convey your loved one to the crematorium or cemetery in a dignified and respectful manner. 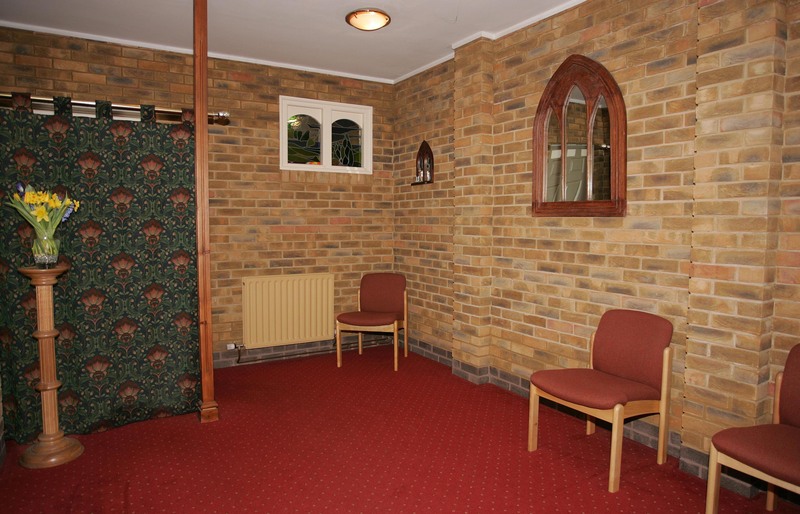 Our Chapels of Rest are peaceful places where you may come and spend time with your loved one before the funeral. The coffin may be open for viewing of the deceased or closed as per your request. Many families wish to provide own clothes in which to dress their loved ones, however, we can provide a gown if preferred. If you would like any personal items such as photos or letters placed in the coffin then we can do this on your behalf or you may wish to do this yourself when visiting the Chapel. We can arrange flowers on your behalf and use a local high quality independent florist. We have a brochure with many different floral designs to choose from. If you have any requests that aren’t illustrated in the brochure our florist can accommodate your wishes in most cases. The florist can meet with you in your own home to discuss your particular requirements if desired. If you would like refreshments following the funeral then we are able to arrange this for you at a venue of your choice. We can also arrange for outside caterers to provide refreshments in your home. Memorial leaflets are used for printing any hymns or readings for the service and can also be a keepsake for family and friends after the funeral. Leaflets are tailor made to suit your requirements and can be printed on plain board or textured board with black and white or colour photographs or images. They may be single or multiple pages depending on the items required to be printed. They may contain a full order of service or just the name of the person, a simple poem and the funeral details. We have many examples that you can look at for ideas. We can place an announcement of the death and details of the funeral service in the local or national newspapers. We will advise you on the appropriate wording if required. It is very often requested to have donations in memory of the deceased as well as or in lieu of floral tributes. We can handle the donations on your behalf, forwarding them on to your chosen charity and providing a list of the donators if required. We always provide a full itemised estimate of the funeral costs showing our charges and the third party (disbursement) costs paid on your behalf, e.g. crematorium, cemetery, minister etc. We request that the disbursement costs are paid prior to the funeral and that our charges are settled within 3 months following the funeral.